The Asian Games is the most prestigious games organized by the Olympic Council of Asia, bringing together over 10,000 athletes, team officials, and technical delegates from 45 nations every four years. The 2014 Asian Games will be held in the city of Incheon, South Korea this coming September. 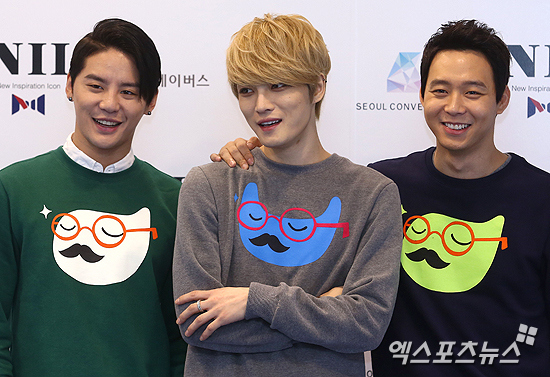 To promote the games across Asia, the IAGOC appointed Korean superstars JYJ as honorary ambassadors to the 2014 Incheon Asian Games last February 20, 2013. 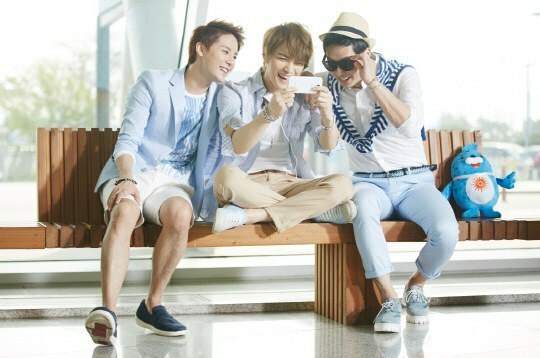 In the words of the IAGOC, “we appointed JYJ as the honorary ambassador, whose popularity is well recognized all around the Asia, to encourage the rest of the Asia to know more about the 2014 Incheon Asian Games.” Fulfilling their roles for one and a half years, JYJ performed extensive promotional activities for the Incheon Asian Games, such as travelling to Guangzhou, China and Hanoi, Vietnam to put on promotional showcases. They even sang the Games’ official theme song “ONLY ONE”, being the face of the Games on promotional advertisements throughout Asia. They have likewise filmed multiple televised commercials to better promote the upcoming Games. On July 1, 2014, however, JYJ was neither invited nor informed of the press conference that the IAGOC held, and were unilaterally dropped from the opening and closing ceremonies’ list of performers through press releases, despite several attempts by JYJ’s management C-JeS Entertainment to clarify the matter with the Committee as the Service Contract specifically included performance by JYJ on the opening and closing ceremonies. Quite surprisingly, this incident came about after it was recently announced that SM Entertainment, JYJ’s previous management company, was named a sponsor for the Incheon 2014 Asian Paralympic Games. A boyband from SM Entertainment, who had no previous connection to the Incheon Asian Games and not once promoted it will instead be performing a pop-song of their own at the opening and closing ceremonies and also appeared at the press conference in lieu of JYJ. On the other hand, JYJ, the Games’ honorary ambassadors, are barred from performing the official theme song of the Incheon Asian Games, ‘Only One’, which they sang and promoted specifically for the Incheon Asian Games. On top of this, the IAGOC has been selling opening ceremony tickets since December, 2013 at the sky-high price of 1 Million Korean Won, or approximately $900 USD, using JYJ’s name and saying that JYJ will perform during the opening ceremony. Since JYJ are the official ambassadors, it is reasonable for anyone buying tickets to opening ceremony to expect that they would be performing. As JYJ are limited in their promotional activities due to an invisible hand blocking them, fans of JYJ still bought these tickets and booked international flights to Incheon, hoping to catch a glimpse of JYJ on a fair stage. This now has become impossible as the IAGOC’s anomalous acts in the form of a shameless and fraudulent bait-and-switch scheme. For more than a year, the Committee has made over four billion Asians believe that JYJ is the face of the 2014 Incheon Asian Games through their advertisements and roadshows which JYJ participated in. Yet, they did not bother to mention the name JYJ at the press conference and have dropped JYJ from the list of performers during the ceremonies. Instead, another boyband suddenly appeared at the press conference and in the advertisements instead of JYJ. As of the writing of this petition letter, the official tour agency of the IAGOC which is responsible for selling tour packages to foreigners, is still selling opening ceremony tickets and tour packages using JYJ’s name and thereby continuing to knowingly mislead fans and the public. The actions of the IAGOC have drawn worldwide criticism from spectators to journalists, tarnishing the reputation of the Asian Games and bringing concern regarding whether or not the IAGOC is capable of holding a fair competition for athletes who have trained all their lives for this one stage. If a mere corporate donation caused the IAGOC to drop their honorary ambassadors in such a disgraceful and public manner, we, the spectators and consumers of the Incheon Asian Games, cannot trust them to conduct fair play for athletes during the Games. We join JYJ’s management in its plea to IAGOC to keep the promise with their Honorary Ambassadors JYJ. We also believe that the 2014 Incheon Asian Games Committee as well as the Olympic Council of Asia are organized to fulfill the public interest, which is based upon loyalty and trust. We call upon the Olympic Council of Asia to perform an open investigation into the IAGOC’s actions to ensure an untainted Asian Games and bring justice and fair play to performers and athletes consistent with the spirit of the Games themselves. 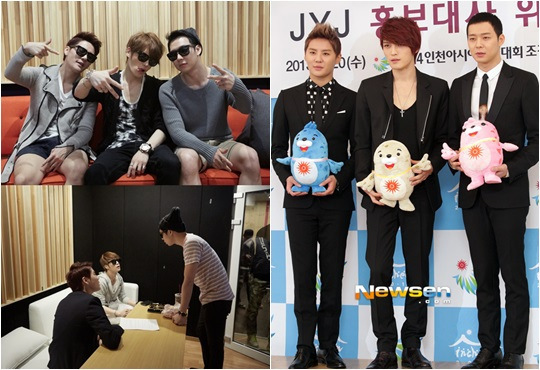 JYJ3′s Note: A Formal petition letter along with the signatures gathered will be sent to the Olympic Council of Asia and the IAGOC. We would like to thanks to the authors and to the fans & non-fans for participate on this Petition. Let’s do this for Jaejoong, Yuchun and Junsu and please always remind that together we are stronger. When the C-jes Entertainment was discussing the roles of JYJ as the honorary ambassador, the officially formed service contract was accomplished with the campaign marketing agency from the 2014 Incheon Asian Games committee. 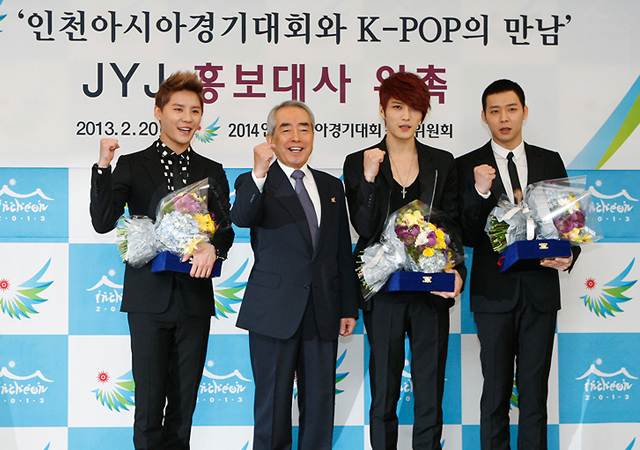 The contract includes the following statements; “anything promotional campaigns related to the 2014 Incheon Asian Games should be agreed upon with JYJ in advance.” And “2014 Incheon Asian Games is obligated to consider JYJ as their top priority when casting other K-POP stars or singers for the opening and closing ceremony and any other conferences held by oversea media. Also, the 2014 Incheon Asian Games committee and its chairman along with the person who was in charge of the promotional campaign PROMISED JYJ THE STAGES FOR BOTH OPENING AND CLOSING CEREMONIES. Followed up campaigns such as recording the title song of the 2014 Incheon Asian Games, Only One, and making the music video with no charge; JYJ has been nothing but loyal to the 2014 Incheon Asian Games. 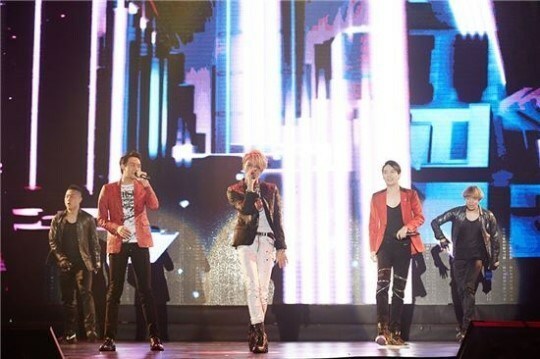 Moreover, JYJ participated the showcase held in Hanoi, Vientnam and Guangzhou, China last October and November. The showcase in November where all the persons concerned for the 2014 Incheon Asian Games was supposed to gather was cancelled due to the natural disaster in Philippines. A month ago, C-jes Entertainment notified the 2014 Incheon Asian Games committee that JYJ will join the Incheon Main Stadium opening event and the press conferences for both opening and closing ceremonies where the stage director would be there as well. However, no further information regarding every events could be received from the committee and the press conference happened today was one result from such matter. On the most recent call with the committee, they said that there is nothing confirmed for the stage schedule yet. However today the committee distributed to the press that they have “Stars Casted for the Opening and Closing Ceremonies” and did not mention JYJ, the official honorary ambassador. The committee also said that the appearance of JYJ is confirmed, but they are NOT discussing when the stage of JYJ will be made but WHETHER THEY WILL ALLOW JYJ’S STAGE TO GO ON. The 2014 Incheon Asian Games committee PROMISED the opening and closing ceremonies. They even suggested collaborating a stage with PSY for the closing ceremony and JYJ told the commiittee that they would be honored to be on the same stage. 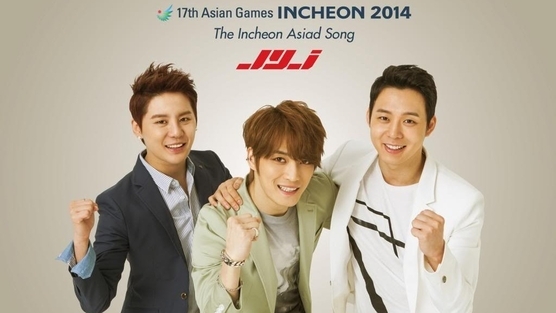 The 2014 Incheon Asian Games should keep the promise with JYJ. We believe that the 2014 Incheon Asian Games committee is organized to fulfill the public interest, which is based upon the loyalty and trust. For more than a year, the committee has made over four billion Asians believe that JYJ is the face of the 2014 Incheon Asian Games, yet they did not bother to mention the name JYJ at the press conference. This goes against common sense. The stage with such a great singer who is loved the nation-wide. If the committee tries to blame the person who was in charge of casting the honorary ambassador in the future or to make an excuse saying that JYJ was supposed to perform on the opening and closing event, not the main ceremony would be very disgraceful of the committee. It does not need lots of reasons to see how ridiculous it is that JYJ, who has been working really hard for the campaign and even recorded the theme song, was only going to perform on the even before the big main ceremony. We remember the day we had a first meeting with the committee last May. 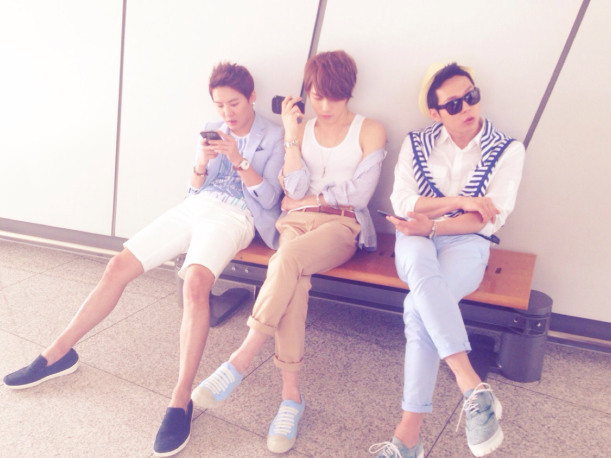 We emphasized that JYJ has gone through enough painful obstruction and that it fears them it might happen again. We told them JYJ would not even consider starting something unless it is fully agreed upon and everything is obligated since the pain will be unbearable, not only for the members of JYJ but all the fans around the world who love them. The committee said that it is beyond deplorable that such obstruction is and has been occurring to JYJ. 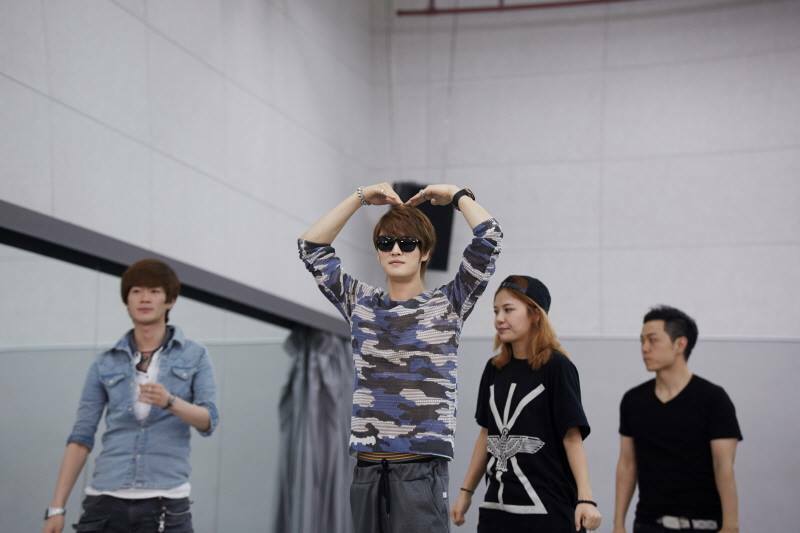 They were also very confident that they will not let such problem occur to JYJ. We hope this breach of contract is not made by another preposterous and unfair threat and sincerely ask for everyone’s attention and support for JYJ. 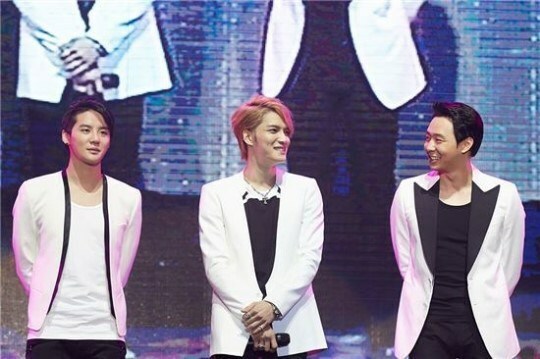 JYJ recently met with fans at the 2014 Incheon Asian Games Road Show showcase that was held in Guangzhou, China. On the 21st of November, JYJ performed their Incheon Asiad Song ‘Only One’ and Kim Jaejoong’s recent title song ‘Just Another Girl’ for 7,000 fans at the Guangzhou Gymnasium. The atmosphere of the event was upbeat and lively as the audience danced along with JYJ during their ‘Only One’ dance lesson section. 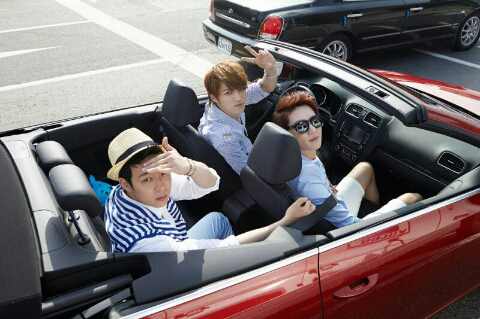 Meanwhile, JYJ will focus on their individual activities after the showcase. With the music video and audio of JYJ’s ‘Only One’ becoming extremely popular all across Asia, the 2014 Incheon Asian Games committee has released the dance practice video of ‘Only One’. Since being released, ‘Only One’ has gained 600,000 views on YouTube and 2.7 million views on Yinyue Tai, coming to a total of 3 million viewers overall. If one factors in the views gained from various domestic and international music sites, it’s easy to see just how popular the song is. Having received various messages from fans such as, “The song is so addictive!” “It was great to see the sights of Incheon through the music video”, and “It’s such a fun song, perfect for the Asian Games!”, as well as various requests for the release of the dance practice video, the Incheon Asian Games committee has decided to release a video at an earlier-than-expected date. The fun and joyful dance video of ‘Only One’ shows a dance that anyone can easily follow, and can be seen on the committee’s official YouTube channel. It’s gotten 300,000 views in one week. The teaser video for ‘Only One’, JYJ’s Incheon Asiad song, has been met with an explosive response. On the 3rd, the Incheon Asian Games committee uploaded the video on their official YouTube channel (http://www.youtube.com/Incheon2014) and it garnered over 300,000 viewers in one week. Fans from all over the world, not only Korea and Asia, have shown their interest in the song with over 1,600 comments made in various languages such as English, Korea, Japanese and Chinese. JYJ, who are at the center of Asia’s Hallyu Wave, were chosen to be the honorary ambassadors of the Incheon Asian Games in February. They have been working since the early months of this year on an Incheon Asiad song and music video that the four billion people of Asia can enjoy together. 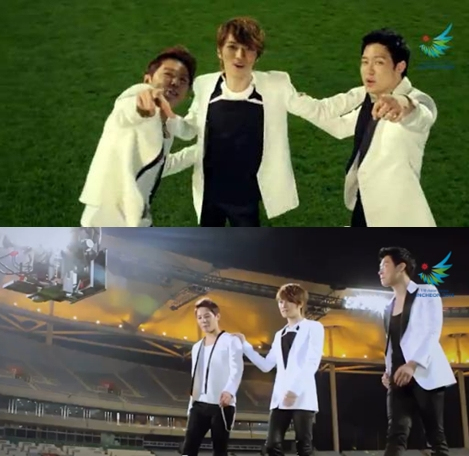 The teaser video, which is around 38 seconds long, shows the members of JYJ entering the main Asiad stadium and cheering for their Incheon Asian Games. Shots of the three members recording the song, practicing the choreography and shooting the music video have Hallyu fans and sports fans alike excited to see what comes next. The full audio and music video of ‘Only One’ will be released all across Asia on the 16th, exactly one year till the games begin. Afterwards, JYJ will be promoting the Incheon Asian Games on a ‘road show’ across Asia in countries such as China and Vietnam. K-pop boy band JYJ will visit the Philippines in November as honorary ambassador to promote the 17th Asian Games that will be held in Incheon, South Korea, next year. The popular group is scheduled to do a roadshow to promote the Games in four countries starting this month. According to C-JeS Entertainment, the band’s agency, JYJ will attend a video conference interview for Singapore on Sept. 26followed by media and cultural events in Vietnam and Guangzhou, China, on Oct. 24 and Nov. 21, respectively. JYJ is scheduled to go to an Asian Games media event in Boracay in Aklan in southern Philippines at the end of November. 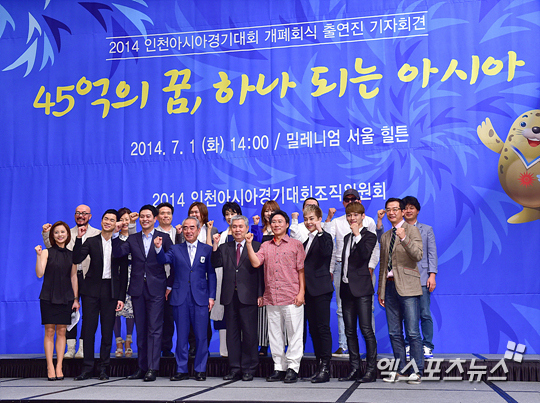 The band was appointed as honorary ambassador of the Incheon Asian Games in February. 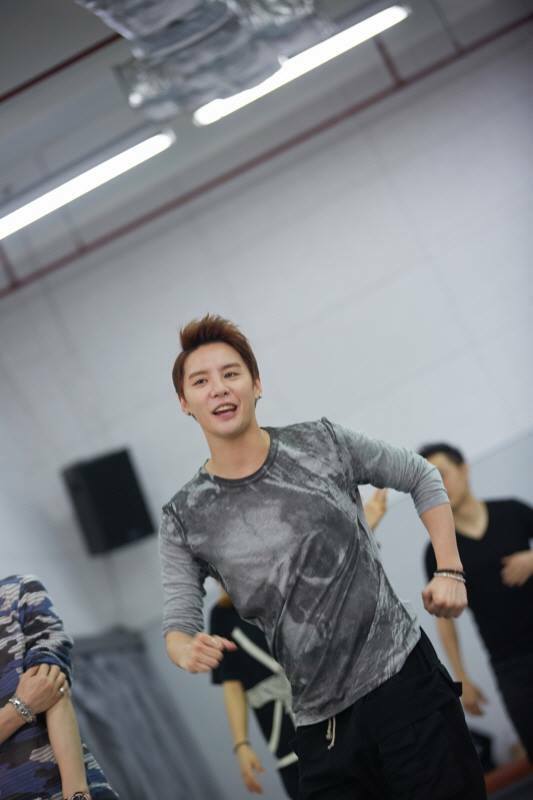 However, certain parties are preventing JYJ from promoting Asian Games in their own country. Despite that the band is the honorary ambassador of the Games, JYJ was excluded from attending the Incheon Korean Music Wave 2013 concert held last Sept. 1 at the Incheon Munhak World Cup Stadium. About 40,000 fans went to the concert which was participated in by 20 K-pop groups including Girls’ Generation, Super Junior, KARA, FT Island, EXO, miss A, BEAST and 2AM. C-JeS said JYJ was not included in the concert despite that it raised a formal objection to the organizing committee. “Of course, we have raised a formal objection to the organizing committee because, from a common sense point of view, it is unacceptable for JYJ, honorary ambassadors of the IAG, not to attend the event which has to do with promoting the IAG,” C-JeS said, according to a translation by fansite Jaetaku on WordPress.com. The agency said the Games organizing committee sided with it and requested people in charge of the concert including TV station MBC, the host TV station of the event, to include JYJ. The organizing committee was informed by the Incheon Development and Tourism Corporation (IDTC) that it was impossible to have JYJ at the event. According to C-JeS, the committee’s request was not for JYJ to perform at the concert but only to introduce the Incheon Asian Games and announce their upcoming overseas promotional activities. MBC and IDTC turned down the committee’s request, C-JeS said. JYJ has been unable to perform on TV music and entertainment programs in South Korea since 2010 stemming from a legal dispute between the boy band and SM Entertainment. Last November, JYJ and SM Entertainment settled their legal problem. Last July, Korea’s Fair Trade Commission issued an order against entertainment and media organizations in Korea that have obstructed JYJ’s TV appearances. Despite the order and the lawsuit settlement, JYJ is still being prevented from appearing on TV. C-JeS said despite the roadblocks, JYJ is committed to spreading Korean culture and raising awareness about the Asian Incheon Games, which will be held from September to October 2014 in South Korea. C-JeS thanked the Games organizing committee and the Mayor of Incheon for acknowledging the importance of JYJ as honorary ambassadors of the Asian Games. “JYJ are going to do their best to spread the excellence of the Korean culture and to raise the awareness of the IAG 2014 as its honorary ambassadors by making a tour of several Asian countries,” the agency said.